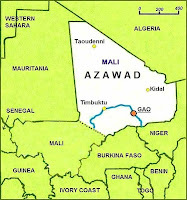 Azawad is recognized by no state. 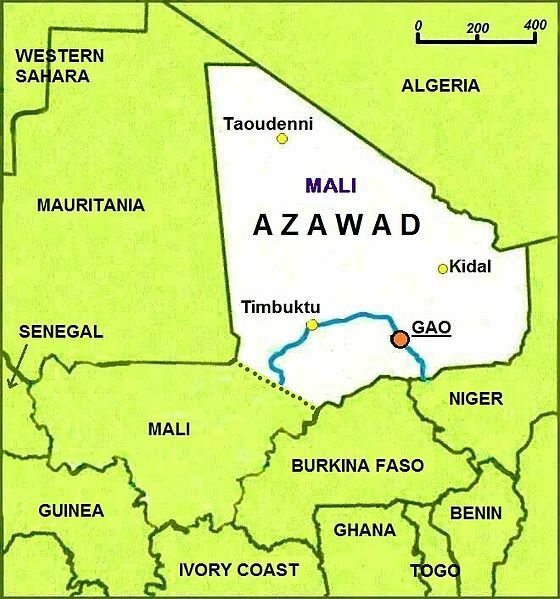 (credit for map below, showing disputed area in white) Indeed, it's been denounced not only by Mali but also by Algeria, which it borders and which also has a Tuareg population (see Voice of America map here), and by ECOWAS, the Economic Community of West African States of which Mali is a member. Negotiations over the dispute are reported to have begun this week. As for the quote above, who are the "they" whom Wallet Intalou said are luring youths into combat? 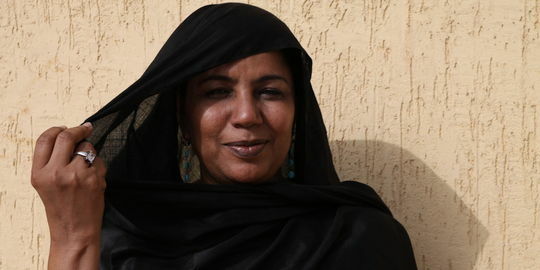 Forces said to be affiliated with Al-Qaida au Maghreb islamique, which, according to Le Monde, has "profited" from the turmoil of the months-long independence rebellion (prior post) by laying claim to Timbuktu and other cities in the newly proclaimed Azawad.